How long have you been in the industry? I joined in 1974, so it’s been… 44 years! Wow, I didn’t realise it’s been that long. What inspired you to join the industry and what is a day like for a Reservations Officer? Back in the 1970s, it was rather prestigious to work in a hotel. I started out as a receptionist at the front office and worked all the way up to Reservations. And now as a Reservations Officer, the first thing on my mind when I come to work is the number and type of rooms left for me to sell. I need to know occupancy figures. When I receive a booking, I will then check if the room rate and type is correct. I also answer guests’ requests. Usually these are quite standard, such as high floor, no-smoking room, queen-size bed or twin bed. So we’ll just arrange accordingly and make sure it’s correctly reflected in the system. How important would you say the role of a Reservations Officer is? To me, the task of a Reservations Officer is not that difficult, but you have to be very accurate. I have to make sure that every part of a booking is correct—from billing instructions to room type and guest requirements – so that the respective departments can address them. We support and work hand-in-hand with the front office. Communication is key especially with regard to last-minute booking queries and changes. Throughout your time in the industry, how do you see technology affecting the hospitality scene? Technology has definitely made my job easier. During the 1970s and 80s, I received more bookings over the phone and each call could take more than 10 minutes because the guest might have many questions. Now, most people can get most of their answers online from sites like TripAdvisor and make their bookings online. It gives me more time to find other ways to contribute to the hotel or to my guests’ experience. What do you enjoy most about what you do? I enjoy how I am able to help sure all my guests’ needs are met even before they step into the hotel, so that they can enjoy a smooth and pleasant stay with us. What has been the most memorable experience in your career so far? In March last year, I was on a phone call with a potential guest from the United States. It turned out that she was a regular guest of a previous hotel I had worked for. I was surprised that she actually recognised my voice as I had lost touch with her for 11 years. She did come and stayed at the Link Hotel but due to our busy schedule, we did not get the chance to meet up.At least we got to re-connect over the phone call, which was really nice. When you work for a hotel, you make lifelong connections with people from all around the world. How do you think you can contribute to a guest’s happiness during his/her stay? I believe in doing whatever it takes to ensure that each request is met, even if it falls outside my regular scope of work. Recently, there was a couple staying in our hotel who had never been to Sentosa. I happened to be at the front office when the wife approached for directions. I took some time to give her directions and instructions on how to get there. I was very happy to be able to help them out even though I’m not a concierge, and hopefully, I had helped to make their stay with us that bit more enjoyable – despite it being just a small gesture. 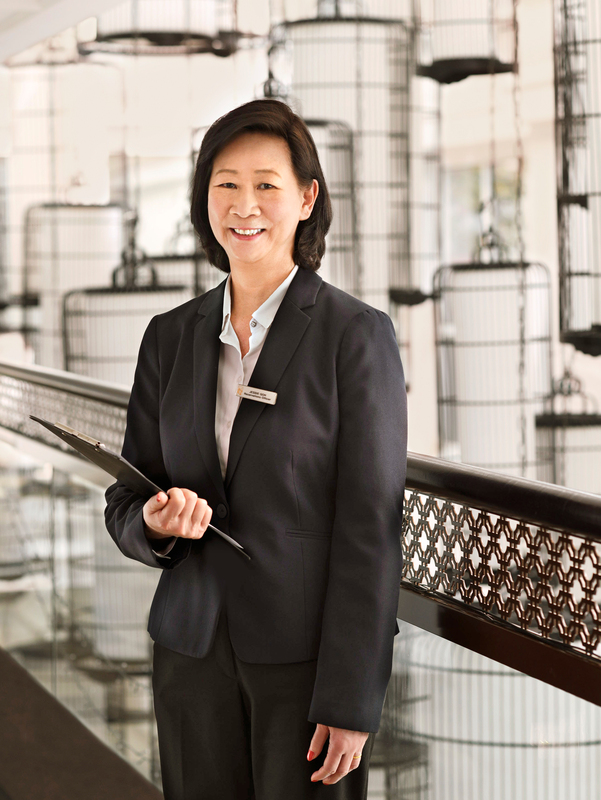 What advice would you give to someone who is interested in joining the hotel industry? Reservations is a good, stable job for those who like being accurate in their work. If you want more challenges or interaction with guests, work for the front office. There are many roles to try out, and you can go really far if you’re hardworking and have a positive attitude. You need to be self-motivated, passionate, patient, and able to adapt to change.